Noise Pop Festival, the beloved San Francisco Bay Area’s indie music festival, will soon be celebrating its 27th incarnation this coming February 25 to March 3. To have to-be-attendees even more excited for the event, they have finally begun to unveil its 2019 lineup, featuring some incredible names that are sure to make for an unforgettable experience. Though this is only “Phase 1,” some of the headliners are already pretty intense. Among these names are Beirut, whose fifth album Gallipoli will be released on February 1st, Bob Mould, the legendary guitarist / vocalist / songwriter for bands like Hüsker Dü and Sugar, Teenage Fanclub, the Scottish power pop veterans, and Caroline Rose, the indie rock singer-songwriter who released Loner, her latest album, just this year. 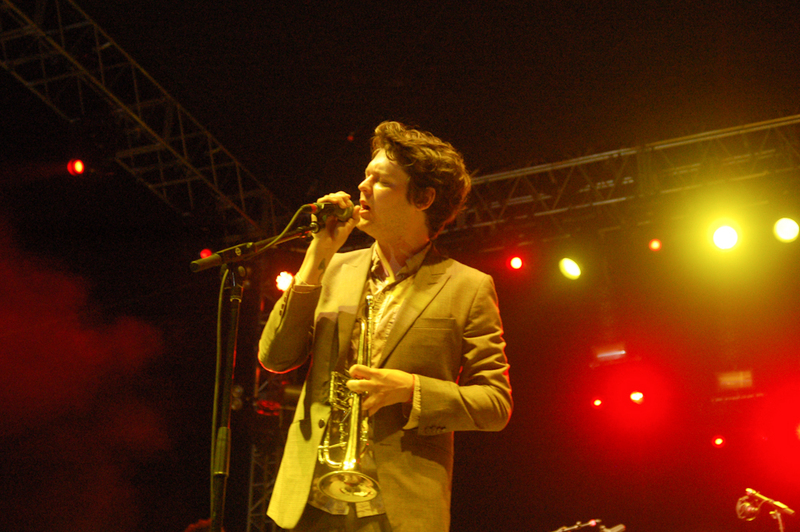 Other artists announced today include guitarist, singer and songwriter, and member of The Strokes, Albert Hammond Jr., who released his fourth solo album this past March, Jason Lytle, who is known as a singer-songwriter for the band Grandaddy in addition to his work as a solo artist, and California electronic musician Baths. Check out the full list of names announced below. Noise Pop takes the Bay Area and turns it into a massive celebration of independent culture, containing multiple events that take place all across the city throughout the week it takes over. Along with the music, the event also celebrates the cinematic arts, providing access to film screenings and events as a part of the general Noise Pop badge. In fact, last year’s Noise Pop saw the festival’s highest attendance to date, hosting over 30,000 attendees during the week-long celebration of music, film, art and culture. The festival even sold out of all badges in advance. The 2018 festival played host to 180+ music artists across more than 25 Bay Area venues, with events including concerts, film screenings, art shows and more. Early Bird and Super Fan badges go on sale today, and fans who are determined to go should definitely act fast, as supply is limited and pricing will increase as the festival approaches and more is announced. Individual tickets to these artists just announced will go on sale at 10 a.m. PT this Friday, October 26. Noise Pop is also excited to announce the addition of a Super Fam badge – 2 premium Super Fan badges – which for the first time in festival history will allow any Super Fam badge holder the freedom to switch out their +1s. Check out the festival teaser video and the festival Phase 1 flyer below. 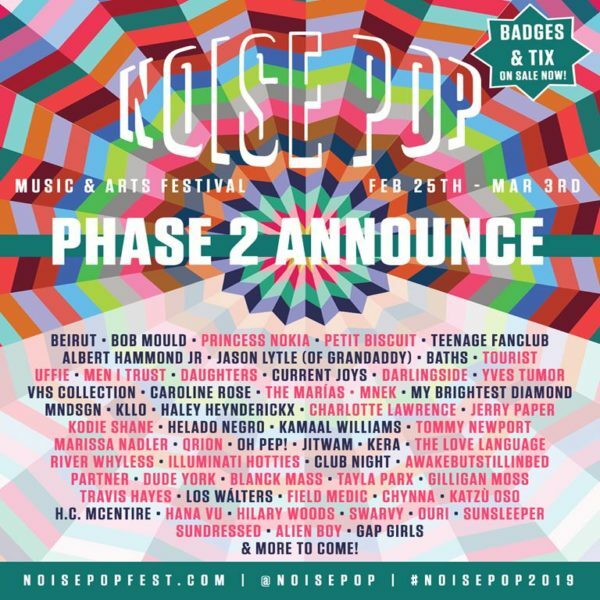 UPDATE (11/29): The phase two of the Noise Pop festival lineup has been revealed and the newly added list adds even more unbelievable acts to the stage. The second wave of music acts added to the bill includes Princess Nokia, rapper based out of New York. She recently released a mixtape earlier this year called A Girl Cried Red. 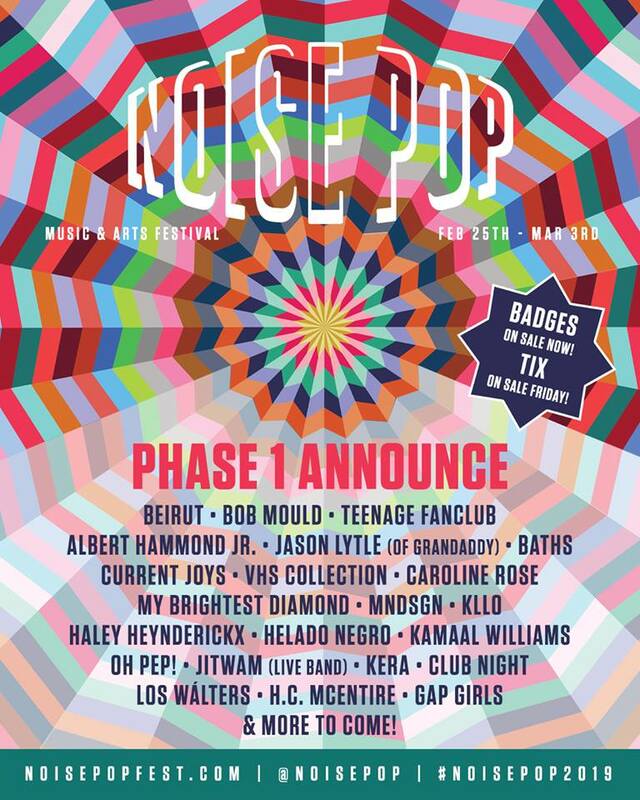 Also in attendance at Noise Pop next year is Teenage Fanclub, Beirut and Petit Biscuit. According to Noise Pop’s official Facebook page, in a post uploaded today, Biscuit will appear alongside a special 6-piece live band. A couple of artists will make their Bay-Area debuts at the festival including Chynna, Hana Vu, Partner, Ouri, and MNEK. Check out the Phase Two flier for Noise Pop as well as the Facebook post.